The “One to Watch?” A humbling award. 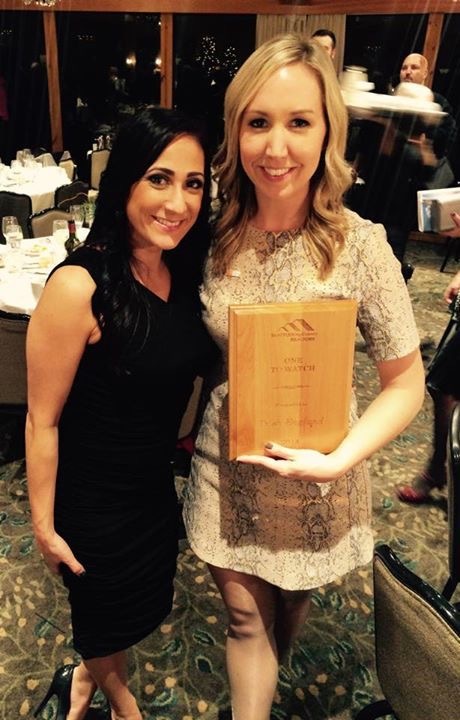 This month, I had the pleasure of attending the Seattle King County Association of REALTORS Annual Installation Banquet and Awards Ceremony. It was a harmonious occasion: a festive dining and entertainment experience at the Edgewater Hotel in Seattle, holiday decorations galore, and a gathering place for many respected leaders in our real estate community. I received a special invitation to attend the event as I would be officially "installed" to accept my sworn-in duties as the 2015 Chairperson for the Young Professionals Network, and also as a "Director at Large" for the Association's Board of Directors – both elected positions. Towards the end of the evening, the Association awarded nine distictive awards, including REALTOR of the Year (Congrats to my friend, Patti Hill), Community Service REALTOR of the Year, Affiliate of the Year, etc. I'm humbled and pleased to announce that I accepted an award, entitled "One to Watch" by the Association. 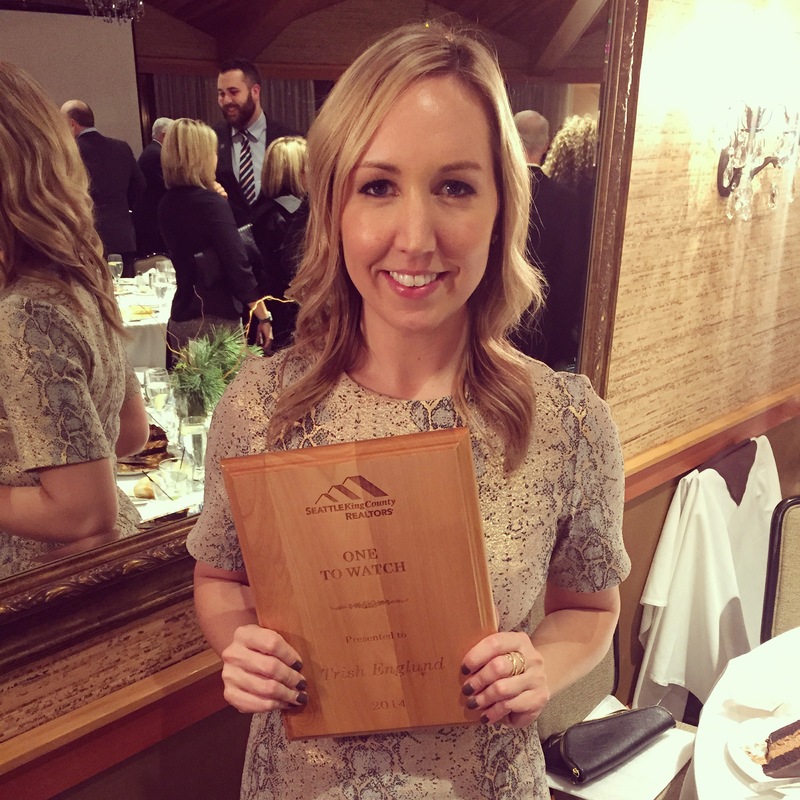 This award is given to a young REALTOR, under that age of 35 who is devoted to their community, is invovled in leadership and shows creativity in their trade. It was such a wonderful experience, and honor to accept this award. In my acceptance speech, I explained to the audience and my peers, that I truly believe that the most creativity and stability comes from being surrounded by the "right people" (a lesson I learned from author Jim Colllins) and that my drive and devotion for this business comes from my relationships with my real estate family. I'm very blessed. Cheers to 2014…and looking forward to a wonderful new year with many more adventures! 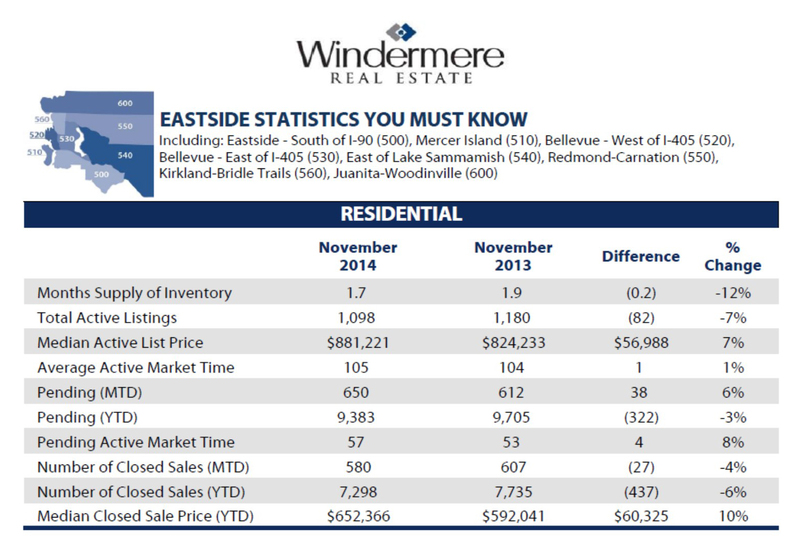 November Eastside Statistics + Winter Predictions! Interest rates remained historically low for the month of November and 53% of the homes available for sale on Seattle's Eastside received a mutually accepted offer. On average, the median home price was $652,366 (10% above last year's median price of $592,041!) and the average days a home was available on the market was 57 days — a slight change from this Spring's 35 days. While the real estate market may feel slower, it's only seasonal. The demand for homes in our area stays strong. The month of November was the best November since 2005 for pending home and condominium sales! Not surpringly, many buyers have complained that there is still not enough home inventory to choose from; the numbers prove their frustrations: home inventory is down 12% year over year. December slowdown is expected as many buyers and sellers focus on the holidays and year end. As we move forward into the new year, interest rates should stay low to keep the buyers motivated. I've been busily viewing new developments on the Eastiside, including Bothell, Redmond, Sammamish and Issaquah, and with the release of several new construction communities, these homes will help alleviate some of the demand. If you are waiting for the Spring market but have the ability to act now, I would recommend it! Take advantage of this healthy, neutral market while it's still quiet from the holidays. Your referral is my highest compliment! Please pass my name along to anyone that may need my advice and expertise. The Windermere Real Estate Company has been featured in many social media avenues over the past few weeks! Here are a few articles that I'd love to share with you. I'm proud to work for such a driven, creative, professional company that cares about our clients and community. Plus, our real estate market is healthy! Probably one of the most beautiful, expansive condos on the Eastside. And available for sale for $6 Million. A new wave of Asian buyers are coming to the Eastside! National Association of REALTORS Conference = In Full Swing! NOLA. New Orleans, Lousiana. The perfect setting for this year's National Association of REALTORS Conference and Expo. Southern hospitality truly does exist, and I experienced the best of both worlds — a learning environment surrounded by 17,000 REALTORS from around the globe, and the royal treatment of the locals, culture, food and history on the streets of Louisiana. This was my first time attending the annual NAR Conference, and I can't speak highly enough of the educational classes, networking events, speakers and my overall experience of shaking hands with so many driven, dedicated and wonderful real estate professionals that are so skilled at their craft. 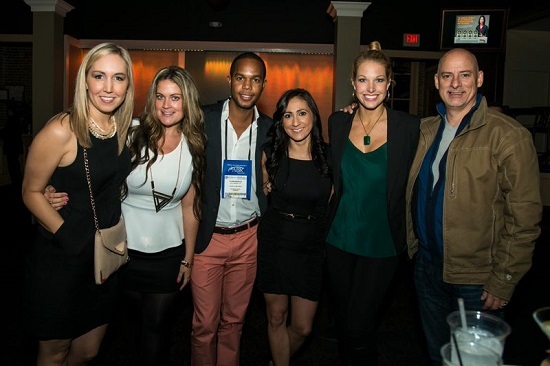 Next year, I will be leading the Seattle King County Association of REALTORS, Young Professionals Network as Chairman. I will also hold a "Director at Large" position with the Association's Board of Directors and will be representing our area on the Washington REALTORS Board. The 2014 NAR Conference definitely put me in full swing, and I will be using the next couple months to plan my goals and re-evaluate my ambitions for 2015. I can't wait to implement all I've learned into my business and keep hitting the pavement hard! Thank you for allowing me to be your trusted Real Estate Professional. I love my time networking with REALTORS around the globe, representing our Seattle-King County Association, but especially working with you. 4 Reasons to BUY this Winter! 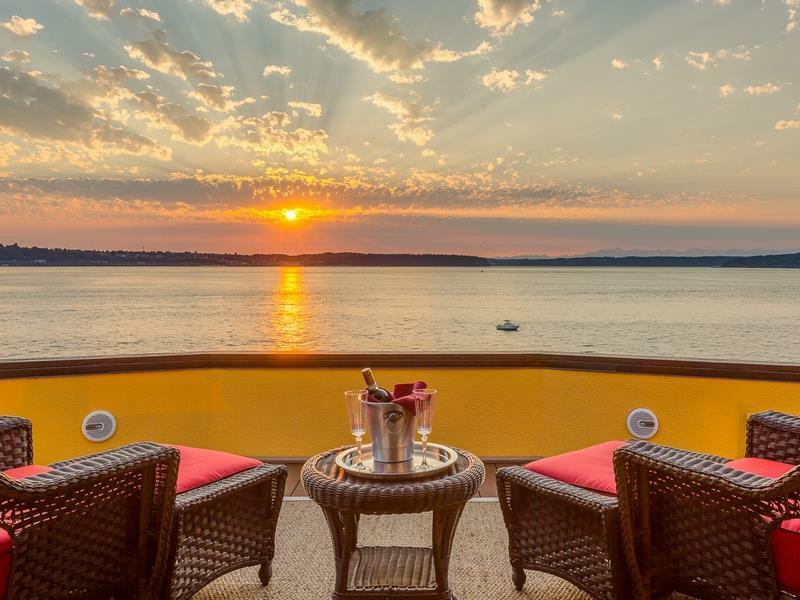 It's no surprise that as our days get shorter, our Seattle Real Estate market slows down a bit. Many buyers are exhausted from the hectic Spring & Summer months! Between October and February, our attention is focused on tackling the holiday season, devoting our Sunday's to Seahawks games and family time, and snuggling by the fireplace on these blustery Northwest nights. 1. Prices Will Continue To Rise. On the Eastside, home prices are up 9% year over year; The Seattle prices are up 9.1% YOY. The KCM crew just released a market report that explained, "The Home Price Expectation Survey polls a distinguished panel of over 100 economists, investment strategists, and housing market analysts. Their most recent report released projects appreciation in home values over the next five years to be between 11.2% (most pessimistic) and 27.8% (most optimistic)." Home values will continue to appreciate for years. If you buy now, you start earning now. 2. Mortgage Interest Rates Will Increase. This weekend, our 30 year Conventional rates were hovering at 4.0%. The Mortgage Bankers Association, Fannie Mae, Freddie Mac and the National Association of REALTORS are in unison projecting that rates will be up almost a full percentage point by the end of next year. Even the smallest increase in the rate affects your buying power. 3. Whether you Rent or Buy, You Are Still Paying a Mortgage: As human beings, we must consume housing whether we rent or buy. Rents have continued to increase nationally, so it's time to stop paying a landlord and a rate of return. Owning makes more financial sense. 4. It's Time To Live The Life of a Homeowner: When someone makes the decision to buy, they discuss two important factors — the price of the home and the current mortgage rates. If both are increasing, it may be best to start placing your focus on homeownership. Essentially, you could pick your schools, your neighborhood, the type of privacy surrounding you, and have the ability to make your own renovations. If you or someone you know is looking to buy (or sell) real estate, please don't hesitate to reach out to me. As a buyer, seller or market watcher, how many hours do you spend on Zillow or Realtor.com doing research or looking at "Zestimates"? 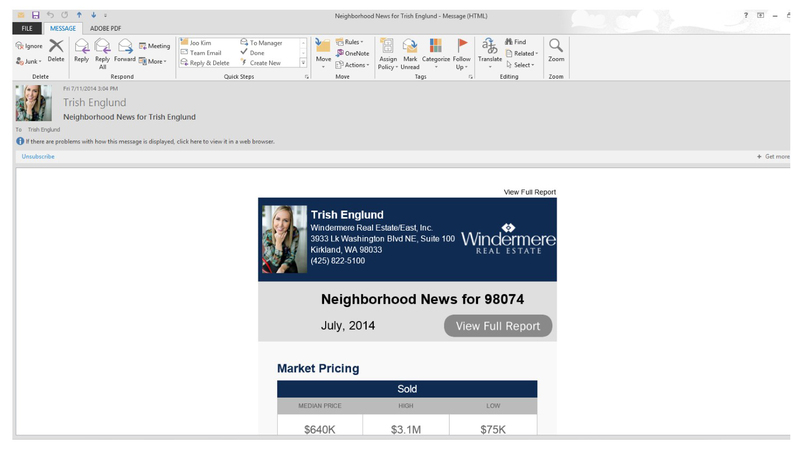 I'm excited to announce a new feature on my website called NEIGHBORHOOD UPDATE that gives you the ability to receive a monthly newsletter for your specific neighborhood/area. In just one click (by entering your Name, Email Address and Zip Code) you will be automatically signed up to receive this beneficial market report that contains information such as homes for sale, homes sold, market trends and market pricing. All the data is collected from our Northwest Multiple Listing Service data and organized in an easy-to-read, detailed report. What's better than free and informative? Step 1: Visit www.TrishEnglund.com and click on Neighborhood News on the top right. Step 3: An email from me will arrive to your Inbox! Our May statistics have just been released, and it's not surprising that the approaching summer market will most likely continue it's momentum. The month of May provided Seller's with a huge advantage: even though inventory increased almost 20% from April, it was still historically low on Seattle's Eastside. So much so, that if a Seller's home was priced well and presented beautifully, chances are they received multiple offers. You've probably heard all about this in the news and have been following the hype through social media. Newspaper headlines like, "Bidding wars, cash, heat up Eastside's real estate market" are still hitting the newsstands. It's been a challenge for many buyers, especially for Washington transplants who are desperate to move from temporary housing to their own home. Thankfully, with the slight increase in home inventory last month, more Seller's should be taking the leap and selling their homes this summer. Buyers should be able to give a sigh of relief to that news! 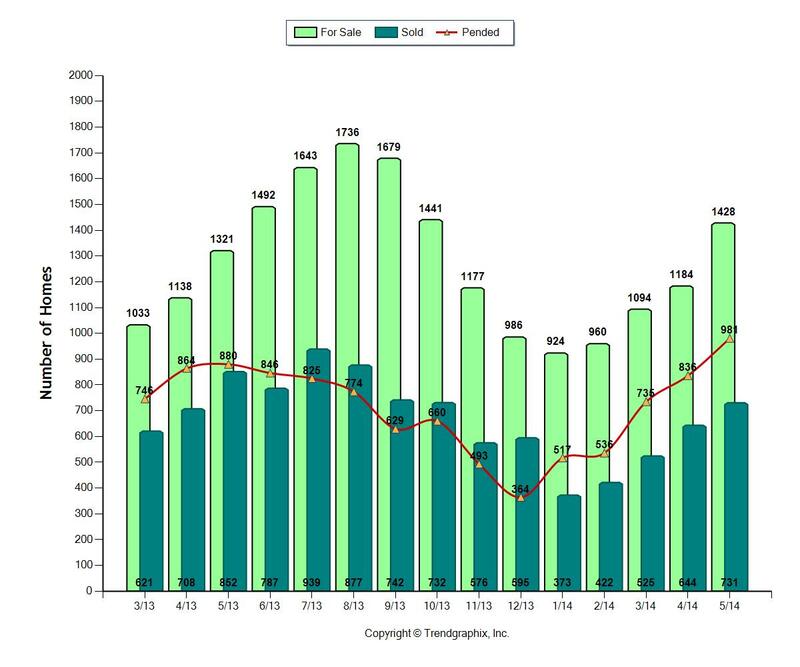 To recap the month of May, the total units for sale were 1428. These sales were a 20.6% increase over last month; an 8.1% increase compared to last year. Median prices also stayed steady at $619,000 compared to last May's median price of $565,000. The Average Days of Market for a home going from "active" to "pending" status was just 33 days. If you are interested in hearing about specific stats for your neighborhood, or would like a complimentary analysis of your home's value, feel free to contact me.